Hi everyone and welcome! 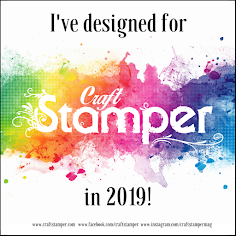 It's the second week of our latest challenge over at Frilly and Funkie, and our host Sue Carrington has this to say; "I love to include meaningful sayings on my projects, sayings that speak to me and inspire me to do the things I do. 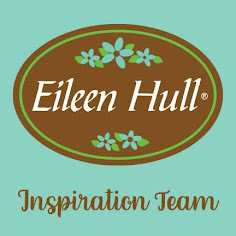 What I would love to see on your projects for this challenge are the words and sayings that mean a lot to you and inspire you." The whole theme for this canvas is that word LIFE, spelt out in Letterpress Blocks. The various swatches help document memories and the every day objects that make up our lives; pressed shirts, a romantic trip, long time friends, a great night out, cutlery, and a fun day skating - a real life quilt. The base of the canvas was covered in a sheet of Dapper paper and stencilled with some Texture Paste through the Mini Latticework Layering Stencil. I used some of the Eclectics Elements fabric and stamped on some of the Textile Surfaces before stitching them to wadding and mounting on small kraft tags. The Hinge Clips were made for this piece too it seems! Just one word can conjure up a whole picture. Several can hold a special meaning. So which words will be your creative spark? 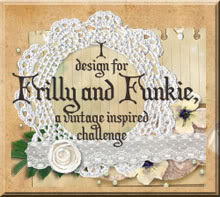 Hop on over to Frilly and Funkie to see the ones used by my talented team mates and then it's over to you. Fantastic ideas on this project. I love the use of the little clip-thank you for sharing your ideas. Fabulous inspired piece ! Jenny Love the whole concept and of course its executed wonderfully . Amazing creation! SO many amazing elements, embellishments and dimension! LOVE this~wonderful inspiration!!! I totally ADORE this project, Jenny! Unbelievable details and thought. I love the wildflowers in the gap, so so perfect! Oh, my goodness, Jenny! where do I start? I love the entire concept, but those sweet little tags sum it all up! Love the wildflowers that really pop and marry this entire project pulling the red from the thread on each of the tags. Clever, clever display! Hugs! Lovely project...Loving all the fun fabric bits and great mementos. This is gorgeous! I love the design with the many tags in a row! Love that you started from life and built the tags around that concept. Beautiful and inspired! I love this! I never thought to use a rub on on the film strip-that's awesome! :) I love all of these inspirational tags! My favorite colors! LOVE the tags, and red stitching...so fun. And love the whole painted letterpress...never seen them white before. Gorgeous! Love, love and then a little more love for this! So many details for the eye to delight in, and the limited colour palette works a treat.